Due to extreme winter weather impacting the Atlantic region, please be advised that all Chit Chats operations in Atlantic Canada have been suspended until Friday, February 15. The winter conditions have impacted drop spots being able to be open. All shipments received on Friday, February 15 will be processed on Tuesday, February 19 due to the holiday falling on Monday, February 18. Please advise your customers of the delays and we thank you for your patience while we get through these winter conditions. Stay safe and warm. As part of our efforts to provide more convenience and increase efficiency we will be phasing out meetups and adding two new drop spots with Maritime Bus. Effective immediately, we will no longer be servicing the Spryfield, Fall River and Larry Uteck meetups. We have also revised our cut-off times for the busy season in order to ensure your packages are processed in a timely manner. Please contact support@chitchats.com if you have any questions or concerns. Don’t forget to log your shipments for any drop spots or request a pick up by logging into the Atlantic region portal. Starting on August 13th, 2018 in the Atlantic region, Chit Chats will launch UPS Mail Innovations (UPS MI) for your U.S. bound packages. This service is tailored specifically for parcels and perfect for larger, lightweight parcels destined to the U.S.
Stay tuned as we’ll be releasing this soon to all our remaining regions. Please familiarize yourself with carrier-specific restrictions here. 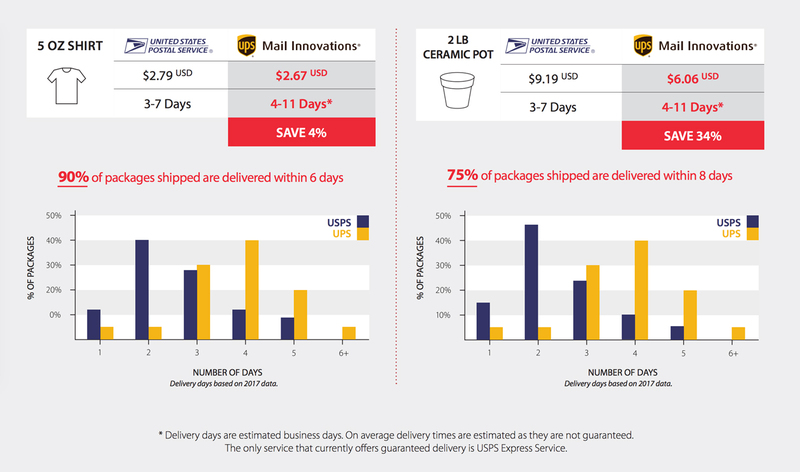 UPS Mail Innovations (UPS MI)is a new option for your U.S. bound shipments. UPS will be taking packages all the way until the final mile and then hand off the packages to USPS for the final mile delivery. This service leverages UPS’ expansive network and speeds up processing by reducing handling by working closely with USPS. Similar to USPS, UPS MI will have different rates available for U.S. bound shipments under 1 lb and over 1 lb. To access these rates select ‘parcel’ for package type along with entering the weight and dimensions. Maximum weight allowed is 70 lbs with maximum dimensions L + (2* W + 2* H) < 130 in. UPS MI shipments received in Ontario on Friday will be processed by the carrier on Monday as they do not process shipments during the weekend. To find details on how to track UPS MI shipments reference our Help & Support article. *Chit Chats Insurance is available for postage purchased through Chit Chats. Delivery times for UPS MI range from 4–11 business days however, 75%-90% of packages arrive within 6-8 business days. Delivery times are estimated as with all carriers and never guaranteed. The only service that currently offers guaranteed delivery is USPS Express Service. Some important things to remember when you ship with Chit Chats in the Atlantic region to ensure that your shipments are processed efficiently. All shipments must be consolidated into plastic bags or boxes when you drop off at a Maritime Bus location or to one of our HRM drop spots. A batch label must be applied to the outside of the bag or box. Learn how to batch. If you have any local (NS, PEI, NB, NFL) shipments, please write “# LOCAL” on the batch label. All shipments must be logged for pick-ups, drop-offs, meet-ups or mail-ins in the Atlantic Region portal. Create an account and use the same credentials as your ChitChats.com account. If you already have an account login. We cannot be held responsible for delays due to missing information. Atlantic clients who wish to take advantage of our competitively priced shipping supplies can order directly through the Atlantic Region portal. Remember to use the same credentials as your ChitChats.com account. As always contact us at support@chitchats.com if you have any questions or require further assistance. Starting June 1st, 2018, Chit Chats’ clients in the Atlantic region (New platform only) can take advantage of Asendia for international shipments. This will coincide with DHL & Yodel services being retired along with the old manifesting system. Starting June 1st, 2018 the google manifest will no longer be accepted for Atlantic clients. Learn how to manifest on our new platform. Asendia expedites international packages within the U.S. and then hands off to local carriers in the destination country for final mile delivery. 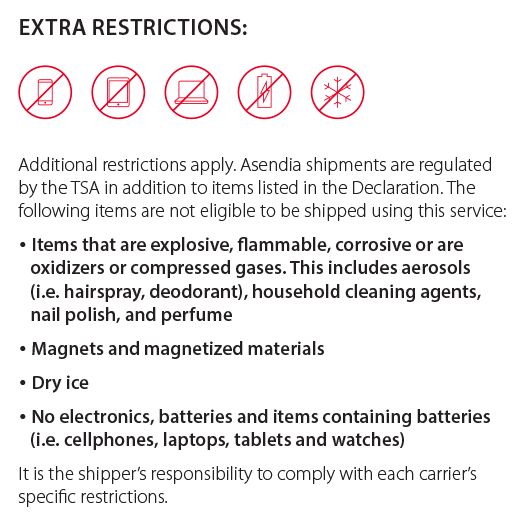 Asendia transports shipments by air and all shipments must adhere to Transportation Security Administration (TSA) requirements. Please familiarize yourself with these restrictions. 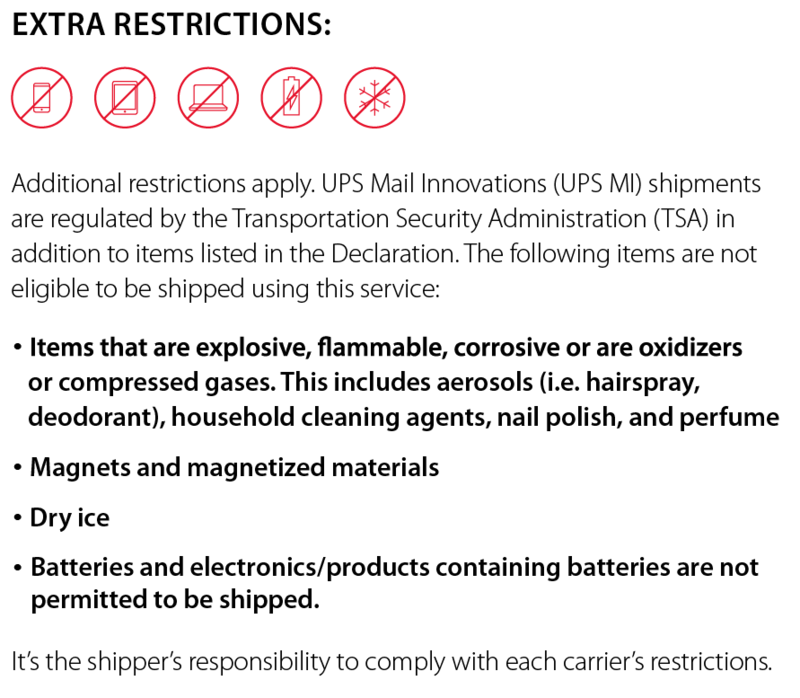 Please note that carrier-specific restrictions are in addition to Chit Chats’ Shipping Restrictions. As with all international destined shipments they may be subject to taxes and duties. Ensure a detailed description of your shipments are always provided. Generic descriptions can delay your shipments. For example: cosmetics is too generic and a specific description is required (i.e. lipstick or facial cream). Please contact us at support@chitchats.com if you have any questions.